Looking for an easy to install and strong bottom pin for your gate? 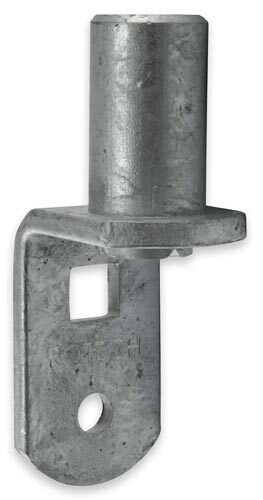 Our galvanised bolt-on bottom pins are perfect for most major gate sizes. Our mild steel bolt-on bottom pins come in three different sizes to suit most farm gate sizes. It can be welded or screwed on to the bottom of your post, ready for you to sit your gate on top.